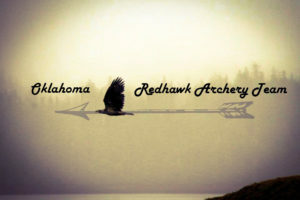 Goodwin Archery is proud to announce the launch of the Oklahoma Redhawk Archery Team. The team is a member club of USA Archery and supports both a JOAD team (Junior Olympic Archery Development) and an Adult Archery team. The Redhawks held their first team practice on Sunday, February 19. Six youth archers joined with Team Coach Joe Goodwin and Team Instructor Stacey Goodwin in our first organizational meeting. Aside from shooting practice, the team also went through a team-building exercise that included some unusual form practice. Let’s just say that blindfolds were involved! The team is eager to join the community of Oklahoma JOAD teams and plans to be a regular fixture at upcoming tournaments and club shoots. For more information about the Redhawks, please visit the team website!